The Johnnie Walker Jazz Safari now in its 11th year is celebrating the beauty that is in jazz music, thanks to its stellar line up of musicians from Uganda and all around the globe. 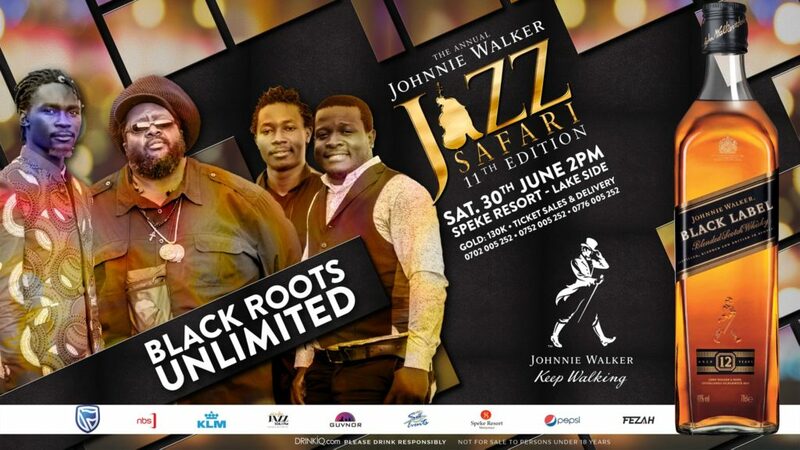 This will be the first of its kind as the brand Johnnie Walker Jazz and Soul Safari is celebrating music in two separate events; one in June beautifully curated for jazz lovers and the other one geared for Soul junkies in December. Every year, some of the world’s most renowned jazz performers are brought down to the pearl of Africa to commemorate this auspicious celebration of jazz. In 2017, the festival saw finest exponents of Kizomba from Angola, Yola Semedo, and Marcus Anderson, one of the world’s most sought-after saxophonists grace the stage for the 10th edition of Johnnie Walker Jazz and Soul Safari. 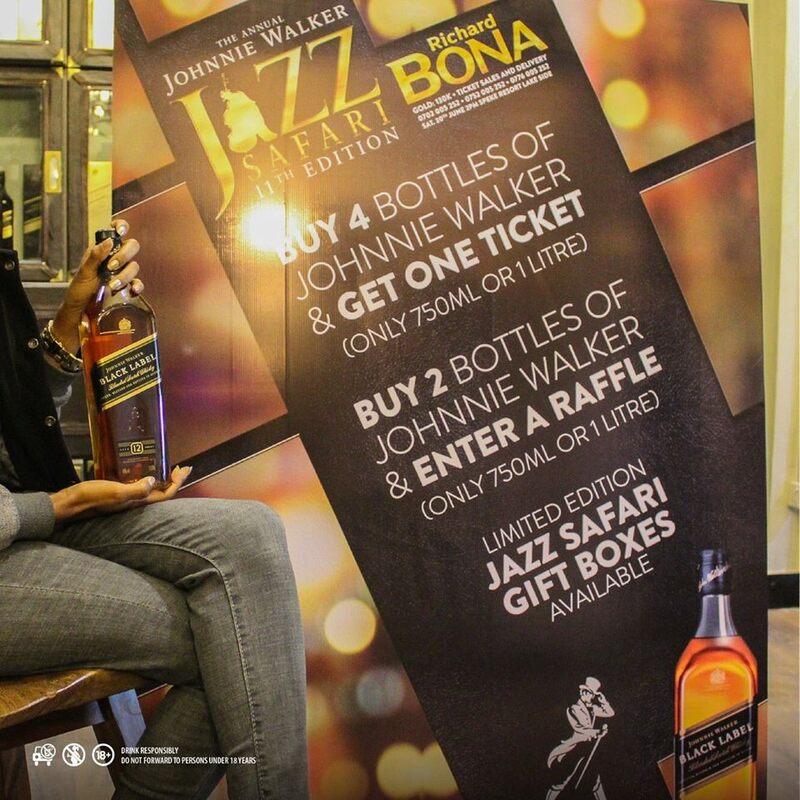 Now in its 11th anniversary of the Johnnie Walker Jazz Safari is one of the largest celebrated festivals on the Ugandan jazz calendar. 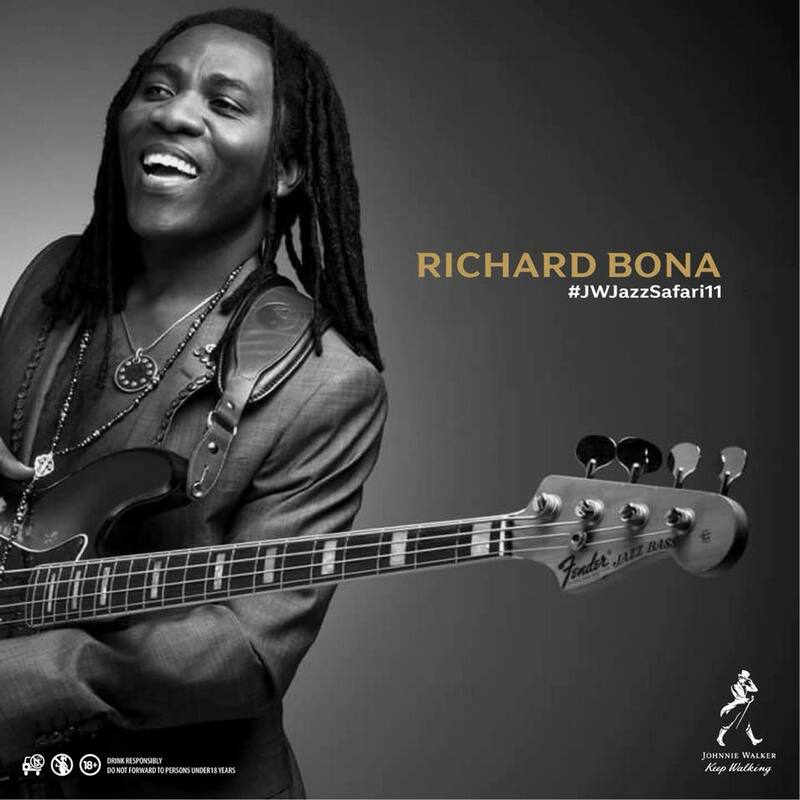 To celebrate the 11th edition of the event, American Grammy Award-winning jazz bassist, Richard Bona will be headlining the event, dispensing his own brand of music that blends west African music, pop, jazz, Cuban, Brazilian and Caribbean grooves. the Cameroonian singer-songwriter Richard Bona’s will gift the people of Uganda with enchanting grace as he is renowned for dexterity on the electric bass with generous supply of warm harmonies and afro-tinged melodies digging into a funky swag song. Other artists joining the jazz sensation from Uganda’s creme de la creme are: Kaz Kasozi, BlackRoots UNLIMITED, Michael Kitanda, Tony Trumpeta and Aloysious Migadde. If you’re a penchant of sultry blues, funk and jazz, then I would advise you block your calendars for the 11th edition of the Johnnie Walker Jazz Safari. The highly-anticipated event takes place on the 30th of June 2018. at the Speke Resort Munyonyo, Lakeside. Guests can explore a wide array of dining options, at a great price at the Speke Resort Munyonyo, Lakeside and incredible cocktail offers by the main sponsors of the event, Johnnie Walker. Experience the bona magic on 30th June 2018 by making reservations call (+256) 0702005252, 0752005252 or 0776005252. #OnlyTheBestWillDo. ONGEA! 2017 : #LetsONGEA !